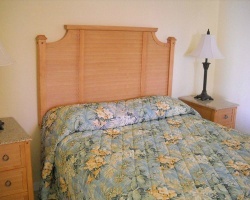 Caribbean Beach Club is located in Fort Myers Beach, on the south end of Estero Island. 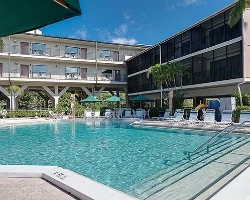 Only five minutes from some of Florida's most beautiful beaches, the resort offers a fishing pier, rowboats, shuffleboard, volleyball, a hot tub and large heated pool, bicycles, barbecue area, and more! Caribbean Beach Club is separated from the Gulf of Mexico by just a small lagoon. For an exciting Floridian adventure, escape to Caribbean Beach Club! To discover more, visit www.defenderresorts.com. Close to many of Florida's best attractions! Buyer May Receive A Title Fee Credit, Inquire For Details! Plan your getaway in Annual Spring Week 18! 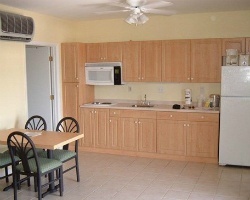 Scenic resort offers great amenities plus dining, beaches & entertainment to explore! Inquire now! Motivated Seller! Price Negotiable! Enjoy being only a few short miles to the beach! Week 15 usage! Buyer may receive a title fee credit, inquire now!